If you’re a fan of the Acura ILX, you’re sure to love the refreshed 2019 model. The 2019 Acura ILX gets a major update geared toward millennial buyers and their desire for tech, driver assist features, and sophisticated design. As one of the sportiest yet luxurious cars in the lineup, the Acura ILX near Long Island, NY features a new Diamond Pentagon Grille for 2019, giving it a new look that fits seamlessly into the modern, prestigious lineup. The new color palette boasting special metallic notes is sure to be a hit as well. Also included are premium cabin materials and a distinctive A-Spec sport appearance option for even more style. The addition of AcuraWatch as a standard feature means active safety and driver-assist technology is available in every version. You can expect the collision mitigation braking system, forward collision warning, lane keeping assist, adaptive cruise control, and road departure mitigation, among others. Plus, this model is packed with other standard safety like traction control and electronic stability. In the cabin, the dual-screen interface that supports Apple CarPlay™, Android Auto™, and other modern-day amenities brings entertainment in the Acura ILX to the next level. No matter if your trip is long or short, it’s sure to be a comfortable, entertaining one in this sporty sedan. The 2019 Acura ILX is slated to arrive soon at our location, and we can’t wait to offer you a test drive as soon as it’s available. For those in the market for a new Acura car near Roslyn, come by our Acura dealership in Huntington Station, NY to check out our current inventory. Our NY Acura dealers are more than happy to help with all your car shopping needs. 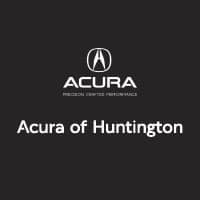 Visit us at Acura of Huntington today!